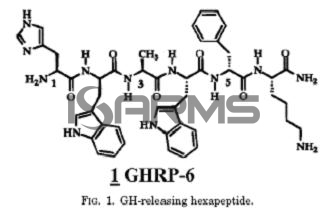 GHRP-6 stands for growth hormone releasing hexapeptide, so it is obviously a peptide hormone. As you can probably guess, it acts in the same manner as all peptides do in the Growth Hormone (GH) class – it increases the amount of GH our bodies produce. This is a very beneficial property, as growth hormone is the fountain of youth, and serves many purposes from fat loss, to muscle gain and anti-aging effects. For this reason many athletes have turned to GHRP-6 in order to get an athletic edge. Unfortunately, as we age, the amount of growth hormone that is produced starts dropping, and into our 40’s it starts dropping off rapidly. 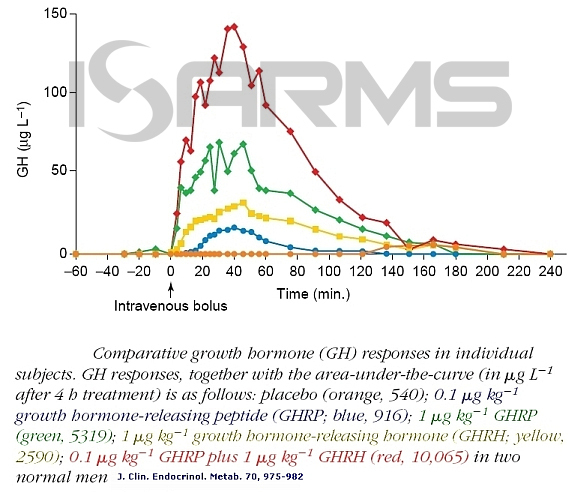 This is where GHRP-6 can help a lot, as it mimics ghrelin in the body, which stimulates the ghrelin receptors. When this occurs, a signal is sent to the pituitary gland, increasing GH production. Another benefit of GHRP-6 is that it blocks out a hormone called somatostatin, which is the enemy of HGH secretion. Finally, there is evidence that GHRP-6 can have a positive effect on the nervous system by protecting neurons, giving the user a much higher overall wellness. Overall boost to body and anti-inflammatory effects: GHRP-6 can help protect the body’s muscles by boosting recovery and protein synthesis. What’s more, it has also been shown to effectively fight inflammation. Stamina: You will notice more stamina on this compound very quickly. Consequently, workouts can be extended for a longer time without becoming tired or winded. Muscle gains: Of course, we all want more muscle, and this compound will help increase muscle mass and development. 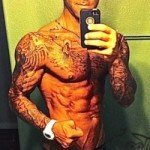 Fat loss: This is probably the #1 reason people pony up the cash for GHRP-6, and it works great at aiding fat loss, which makes it a very good option for recomping or cutting. Sleep is greatly improved: Users say they sleep harder, and wake up more refreshed. Stronger bones and healthier skin. Energy increase: Unlike the case of stimulants, you will get a steadier and more consistent boost in energy, and there will be no crash afterwards. 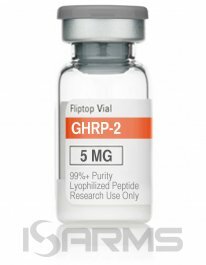 GHRP-6 comes with some side effects, which are more pronounced when this peptide is abused. Prolactin, or estrogen gynecomastia issues: Those that are sensitive to prolactin based gynecomastia are open to problems with GHRP-6. Luckily, this is a rare occurrence, and it can be easily combated with dostinex. However, those who stack this compound with anabolic androgenic steroids may have a greater chance of getting gynecomastia. Thats why an AI (aromatase inhibitor) should be used during this kind of cycles. Dizzy spells, headaches, and other low blood sugar issues: Due to the effects on blood sugar, this is normal with HGH type compounds. Hence, it is recommended to keep sugars on hand, in case you start feeling these effects. Joint pain: This is normal because GHRP-6 has DHT-like effects in the body. When this happens, a good option is taking a joint supplement with it. Post injection problems: Some users complain of nausea, or numb skin after injecting. Bloating: This is something that can occur with those who use these types of GH compounds, and it will go away after stopping the use of GHRP-6. GHRP-6 is a water based injectable that you will have to mix with bac water, and store. Remember, it is important to store GHRP-6 correctly after mixing it – in the fridge. It should be good for up to 3-4 weeks, so only mix what you plan on using during that time frame. 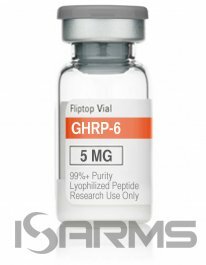 GHRP-6 is sold in the US by prescription only, but research companies sell it quite extensively. However, be careful who you buy it from, as many suppliers sell underdosed, or bunk versions of GHRP-6.